Streaming service Zattoo is to withdraw from the UK market after failing to gain any traction in the country. The streaming provider has been available in the UK since 2007, making it one of the earliest online live streaming services to go live in the country. But unlike in other countries, it failed to obtain the necessary rights to stream most channels, leaving the UK service with a skeleton service of seemingly random channels including S4C, UTV (but not ITV), RT and DW TV. In addition to abandoning the UK at the end of May 2018, Zattoo will also close its service in Denmark and Spain, concentrating on its core markets of Germany and Switzerland, where the service offers a comprehensive mix of free and premium streaming and recording options, similar to what TVPlayer does in the UK. 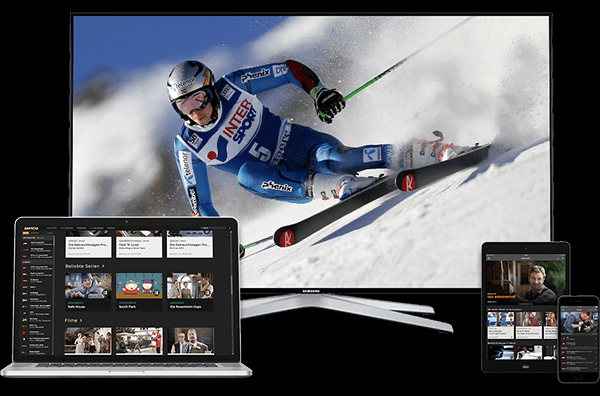 Under new EU content portability rules, Germans with Zattoo subscriptions will continue to be able to travel to another EU country and watch TV via Zattoo on holiday. Swiss users, due to not being covered by EU rules, aren't officially allowed to use the service abroad. Previously, Zattoo's free option was limited by the licensing deals it had obtained in other countries. So, for example, anyone who downloaded the Zattoo app in Germany, but then went to the UK, found that the large range of German channels was replaced by a handful of mostly niche channels. Since the beginning of April 2018, subscribers of TV services are allowed to take access to their subscription services with them on holiday, allowing them to watch e.g. Netflix or Sky Go on their device when in another EU country. Previously these services were geo-blocked, so that it wasn't possible to access them abroad without using a Virtual Private Network or VPN (a method that was generally banned in the terms and conditions). Access is limited to temporary stays abroad. The interpretation of this may vary from provider to provider. In the same way that mobile phone networks can intervene if you've taken a UK SIM abroad in the EU and continue to use it for several months whilst abroad, streaming providers are allowed to restrict access if someone was to use a service outside of the home country for long periods of time. These rules currently apply, at least for the time being, to UK users. Outside the EU, UK users will not automatically continue to have the same access (subject to the whatever the final agreement between the EU and UK turns out to be). This is because outside of the EU and with no bilateral agreement in place, the UK Government doesn't have any jurisdiction over other countries to force content providers and copyright holders in those lands to allow such access to UK citizens abroad - incidentally, rights holders have previously been found guilty of restricting access to sports and movies abroad. Individual providers, particularly those who own their own content, could still voluntarily offer such access going forward. These new rules don't apply to free services, so the BBC iPlayer doesn't have to be made available abroad, neither does the ITV Hub. However ITV Hub+ (the paid version) is covered, and is available to UK holidaymakers in the EU.